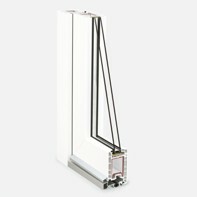 Brillant Design - A proven door profile system with a construction width of 70mm. Requirements we demand from home doors are very high. Brillant Design door profile system has an answer for all requirements, it offers excellent sound and thermal insulation, as well as Break-in protection up to resistance class 3.